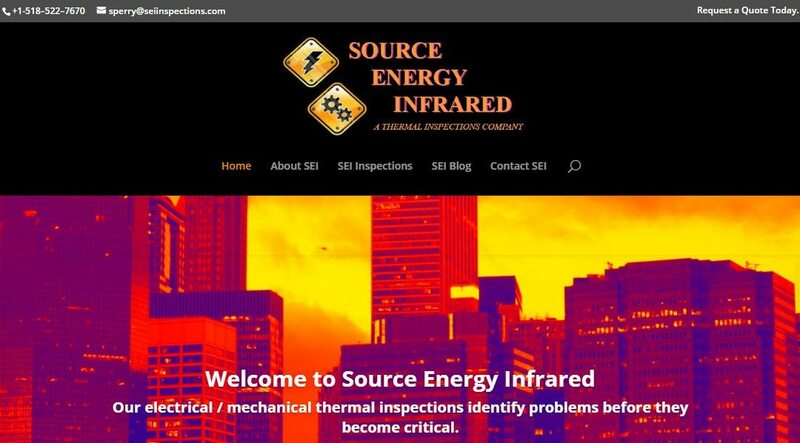 We revamped the WordPress website of source energy infrared. It had originally been created by the site’s owner, who had some but limited knowledge of WordPress. He had used a free theme, which gives the website its look and feel, from the WordPress developers. While a popular approach, free themes typically have limitations. We were hired to make the website look a little bit snazzier, as SEI is looking to expand its business over coming months. We deployed the Divi theme from ElegantThemes to create a handsome, functional, mobile-friendly website. The website might be called a brochure style website, which gives the basic information about the company, and a way to contact SEI. The owner also likes to blog, so it’s blog ready. Even simple websites need to be ready for mobile visitors, and everybody expects to find what they are looking for with minimal effort. We wish SEI the best of luck as the company grows. Go visit the website today.